Join Lemhi County’s Efforts to Support Local Food! The Salmon Community Garden has rentable plots for community members interested in gardening amongst other enthusiasts or if you don’t have the space you need in your yard. First time gardeners looking for a little guidance are welcome, too! 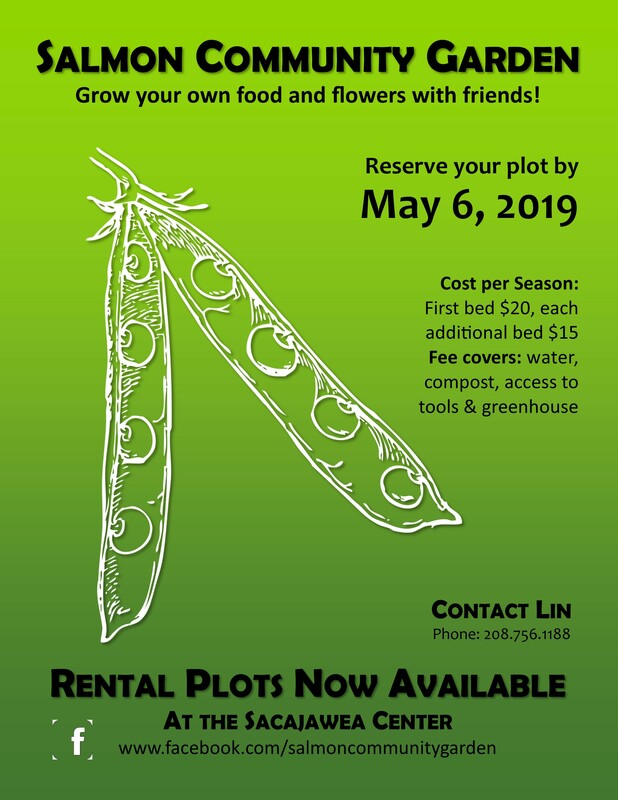 Garden plots are rented on a first come, first serve basis and folks begin reserving their spaces as early as February so if you are interested contact us early (208-756-1188). After several years of dedicated support from a group of local Master Gardeners, the Kid’s Garden program is getting a face lift. With the Salmon School Garden Project in full swing they are taking over all youth garden programming. You can contact the Salmon School Garden for more information about how to participate in 2016, or give us a call and we’ll point you in the right direction. We are excited to transform our Kid’s Garden space into a native Idaho plants and wild edibles garden. We hope to partner with the Salmon School Garden Project to continue bringing students to the Sacajawea Kid’s Garden but with a new focus. If you would like to help us with this project we’d love your expertise on native Idaho plants and wild edibles. Or, you can donate to the cause!